All of Discount Office Source products are guaranteed to be free of defects in workmanship for ONE YEAR from date of purchase. Our guarantee is valid only if our product has been properly installed in the office machine for which it was designed to fit. Any alteration or modification of the product also will void the warranty. Discount Office Source liability extends only to the replacement of the defective product and will not assume any liability for the installation charges or other damage caused by the defective product. We reserve the right to inspect the defective part and refuse or grant the credit based upon the conditions above. Remanufactured & Compatible Toner / Drum / Inkjet Cartridges / Digital Duplicator: Discount Office Source guarantees the quality of our remanufactured / compatible toner, drum, Inkjet cartridges and digital duplicator supplies. Most all of our products are produced in ISO9001/14001 and STMC certified factories. All of our remanufactured toner cartridges come with 1 Year Warranty [Prorated based on usage]. Should the product prove defective in workmanship or material, Discount Office Source will replace the cartridge. Discount Office Source provides a limited warranty of 90 days from the date of the original invoice for non-defective return items. A 15% restocking fee will apply for all non-defective return items. A 15% restocking fee will be applied to all returns for a refund if the reason for the return is due to customer error or if the product is marked “defective” by customer but found to be in working condition. All return items must be in like new condition, in the products original packaging, unopened, no marks, with instructions, accessories and in resalable condition. We will issue credit, less shipping and restocking fees once the product has been received in our warehouse. Please allow up to 10 days for credit. Office products come with the standard original equipment manufacture Warranty. Discount Office Source does not warranty or guarantee any OEM products. We are just resellers. If you receive a defective product, Please contact the respective Original Manufacture website for detail warranty information. All sales of “OEM” products are final. All of Discount Office Source products are Guaranteed to be free of defects in the workmanship for ONE YEAR from date of purchase. We strive to make each purchase to be a Great Experience and care deeply about our customers satisfaction. If you received the wrong cartridge by our error we will replace such cartridge with the right one and pay for the shipping of the wrong cartridge back to us. You must report the mistake to Discount Office Source within 60 days from the date of purchase. All of our shipments are doubled checked by order processors in the warehouse. In the rare event an item is missing from the order you must contact us within 10 days of delivery. If no contact a credit or replacement will be denied. Our manufactures are highly certified with the ISO9001/14001 and STMC accreditations. On occasion a defective cartridge does happen we will be happy to replace such cartridge with a new one. You will need to reorder the such defective product. When we receive the defective item and once inspected to determine it was a defective, a credit will be issued in the same form of the original order. Please Note: Less than 20% Toner in Cartridge will not be accepted for return or credit. 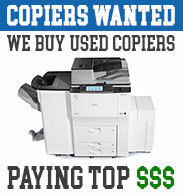 Discount Office Source provides a 90 day warranty from the date of the original invoice. We charge a 15% restocking fee less any shipping or handling charges. Please Note: All return items must be in like new condition, in the products original packaging, unopened, no marks, with instructions, accessories and in resalable condition. We will issue credit, less shipping and restocking fees once the product has been received in our warehouse. Please allow up to 10 days for credit. In the event that you try to return an item by refusing the shipment instead of shipping the products back at your expense. You will be charged the freight back to us for what the carrier charged and will still be charged the restocking fee of 15%. These items are not returnable and non refundable. The shipping companies do there best to not damage the product but we know sometimes in life that humans make errors. If this does happen, you will need to take the following steps. Inspect shipment for damages upon receipt. If damage does occur it must be noted on the carrier paper work at the time of delivery. If you fail to note at the time of delivery, Discount Office Source will not be responsible for damages. File claim with the shipping company. Upon discovering damage you must retain the outer packing box and all the contents including all packing materials. You will need to reorder the merchandise again. Once the settlement with the shipping company. The original damaged invoice will be credited. When returning products you must make sure it is Discount Office Source merchandise. If the returned products are not Discount Office Source merchandise, we will keep the wrong shipped merchandise for 30 days. If you want the merchandise back you will have to pay the shipping cost back to you plus a $20 handling charge. We will only keep the product on our shelf for 30 days at such time the 30 days is up the item will be disposed of. When returning merchandise the customer is responsible for return arrangements and shipping charges. All customers must contact Discount Office Source (either by e-mail or phone) to obtain a Return Authorization Number before returning merchandise to Discount Office Source. Discount Office Source will not accept any merchandise without a Return Authorization Number or if sent shipping collect. Click Here to download the RMA FORM. Include a copy of the original invoice in the box. A note detailing why you are returning the Merchandise. Include at least 3 sample copies of the problem Cartridge (If Applicable). Send back merchandise in separate shipping box. Do Not Use The Manufacture Box. Write the RMA # on the outside of the shipping box only. The RMA number is good for 30 days once issued. When shipping the merchandise back, you must have a tracking number on the package. You are responsible for the safe return of the merchandise. Discount Office Source ships out all products immediately once the order is processed through the web site. Most all orders placed before 3:00P.M. Central Time are usually shipped the same day. Our main delivery carrier is UPS. We ship from multiple warehouses around the country to insure shipments will be received in a timely fashion. On occasion your order might come in more than one shipment. We don’t like to do back orders so if one location is out of one item, we will ship it out from another. You still only pay one price for shipping or if you spend over $75 shipping is still free. We offer free ground delivery shipping on all orders over $75 within the Continental USA (48 Contiguous states) If the order is under $75 you are charged flat rate of $6. Certain orders may be subject to additional shipping charges. We will contact you to inform if these charges apply. If you are shipping to HI, AK, GU, PR--Please contact customer service for a shipping quote. If you would like to expedite your order via Next Day or 2nd Day Air, Contact Customer service for a quote. Note: Shipping is non-refundable on expedited Freight charges. Is determined by location. We offer shipping to all countries. Call or E-mail customer service for a quote. When shipping overseas, most countries require custom documents. Some countries might even charge you duty fees and or custom fees. All these fees are the responsibility of the receiver. Note: Shipping is non-refundable on international freight charges. Truck shipping applies to orders consisting of large items or large Quantity of items that require special handling due to the weight, shape or packaging. Orders are usually processed for shipment within 1-2 business days from confirmation of the order. Delivery times usually consist of 2-7 Business days for shipment to arrive at its destination. Note: Shortages or damages must be noted on the signed Bill of Lading delivery documents and must be signed by the freight carrier driver. If you fail to note the damage at the time of delivery, Discount Office Source will not be responsible for the damages. Discount Office Source ships from multiple warehouses around the country. Our goal is to get the order processed and shipped immediately. We at Discount Office Source work very hard to not have back orders. Sometimes your order will come in more than one shipment. If a warehouse does not have an item but the other does we will ship out to process the order immediately. If we do not have the ordered items in the warehouse to proceed, you will be contacted by e-mail or phone notifying you which item is on back order and the estimated time of delivery. All other items you ordered will be shipped. When we receive the back ordered item, it will be shipped out immediately at no additional charge. Please ensure your ship to address is correct during the check out process. If the address, ZIP or suite # etc. is wrong and the shipping company has to correct it to the right address, there will be a charge of $12.50 for the corrected address to your bill. We do not ship packages to a P.O. Box address. It is very important to inspect each shipment for damage upon receipt. Discount Office Source will not be responsible for damages unless noted by carrier at the time of delivery. If you have multiple tracking numbers, it means your order was a larger order and required multiple packages to be shipped. It also means we might have shipped the order from one of the many warehouses to fulfill the order and avoid delays. Make sure to verify that you have received all boxes. Note: It is important to know that sometimes the shipping companies like UPS load the trucks with the packages and may route a package on another truck due to space issues. So when you see sometimes your boxes and it says 1of 2 and your waiting on 2 of 2 it most likely is on another truck and will be delivered the next day or maybe later in the day by another driver. 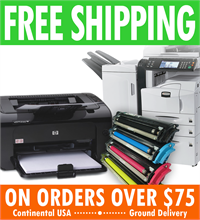 Discount Office Source sells high quality compatible toner supplies with the best pricing. 100% warranty guaranteed. We accept all major credit cards: VISA, MASTERCARD, DISCOVER & AMERICAN EXPRESS. We do not ship COD orders. Online ordering is fast, easy and secure. 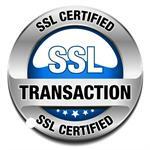 We carry an SSL Certificate for the highest security. It has a 128 bit encryption technology that protects your payment information and prevents unauthorized people from intercepting your data. When reviewing our web site and you wish not to process the order through our secure online server and wish to make payment by mail. We will accept all forms of monies. CLICK HERE to Download Order form. Remember if you mail a company or personal check we will hold the check for the standard amount of time until it clears the bank for payment. For faster service mail a Cashier check or Money Order. Please have your order ready when calling. It is recommended that you print out the “Order Form” and filling it out before calling. When faxing your order in, be sure to use the “Order Form” that we have provided on our website. It is important that you include the CVV/CVC on Visa, Mastercard, Discover. The card identification number is the last 3 digits of the number located on the back of the credit card next to your signature. For American Express, the card identification number is the last 4 digits of the number located on the front right of your card above the credit card number. All orders shipped to the state of Oklahoma will be subject to an 8.5% sales tax added to the total order. To access your order history, CLICK HERE to login and access your account. To access your tracking information, CLICK HERE to login and access your account. Once you have gotten the tracking number, you will need to go to the appropriate shipper’s web address to track the package(s). It is next to impossible once the order is placed. The process works like this. You place the order than your credit card is charged. The order is sent straight to the warehouse where it is immediately boxed and packaged for shipment. It is best to make sure when you order something that is what you want and need. Any institution that is ordering large quantities of products and would like to discuss the pricing, should contact the sales department by e-mail or phone. We welcome all companies, government agency’s, schools, church organizations, etc. CLICK HERE to download all forms from Discount Office Source. Orders accepted subject to prices prevailing at time of shipment and our ability to fill them. We are not obligated to make delivery on any specified date and assume no liability for damage due to delay or inability to fill orders. In the event we notice a wrong price upon placement of an order it will be subject to cancel and refund of the ordered item. We will take this on a product by product bases. Discount Office Source does it best to make sure information is correct. On occasion an error does occur we are not responsible for the typographical errors, inaccurate specifications and descriptions. Earn CASH BACK on every purchase! The more you shop, the more Points you earn. 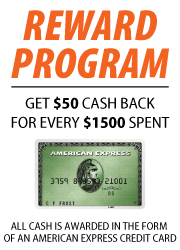 Membership in the Rewards Program is free to enroll and easy to sign up CLICK HERE to Download Reward Program form. Reward Points can be applied toward any purchase. There are no product restrictions to earn points. Discount Office Source is offering a $50 American Express Credit Card with all orders that total $1,500 USD. (Rules and Restrictions do apply, see below). Simply place your order online, upon completion of checkout and order has gone threw the final process; you will be e-mailed a copy of your order. Fill out the Rewards Redemption Form (Click Here) completely and submit to Discount Office Source. Basic working of the form is like this. You keep track of all your orders threw the history in the login section. Fill in the form with the order numbers with date purchased then total the amounts. When totaling up your points, anything over the $1,500 is a carry over unless it equals enough to get more than one Reward Card. The carry over than will be applied to the next orders you place. Once you reach a total of $1,500 which equals 1,500 points you receive another Reward Card. Earn One Point for every One Dollar in net purchases. $1 = 1 Point. Fractions of Points less than < or = .50¢ rounds down and Fractions of Points. Greater than >.50¢ rounds up. No maximum credit accumulation limit (build as many points as you want). Point Redemptions start at 1,500 Reward Points. Order Online, by Phone, Fax or Mail Order all qualify for earning points. You will start to earn points on your first order and once you have returned the Loyalty Reward Program Form. This form can be sent back to us online, by phone, fax or mail. (You must fill out the form to start accumulating points). Points will expire after 12 months if no purchase history is shown to Discount Office Source. Points are available for redemptions as soon as they appear on your statement. Points cannot be redeemed if the account is not in good standing, or is closed at the time of redemption. All redemptions are final. Rewards can’t be returned, refunded, exchanged, or credited unless otherwise specified. Reward Points have no cash redemption value and are non-transferable. Reward Points are non-negotiable and have no cash value and cannot be resold. Reward Points balance can be checked at any time by logging onto the web site and going to My Account. A valid e-mail address and password are required to view your order history and Reward dollars in the account. All decisions regarding Reward Points disputes shall be final. We will from time to time offer special promotions which may feature the ability to earn Bonus Points; details will accompany the offer. Gift certificates and/or Gift Cards—etc. Making qualifying purchases as a member will earn you “Reward Points” equal $1 to 1 point of the net amount paid for that purchase. Enrollment in the Rewards Program is automatic after the effective date with registration on the web site and program form filled out. Net Amount Purchase—Means the cash amount paid in (US Dollars) by the member for the product(s) purchased in the Qualifying Purchase after applying discounts or other credits or deductions. Discount Office Source reserves the right to deny customers enrollment in the Rewards program at our discretion. Reward members are prohibited from using Rewards benefits for the purpose of resale. Violation of the policy will be grounds for termination of the Reward program. Rewards may be issued as gifts cards. Discount Office Source may discontinue or replace any Reward with a similar one of lesser, equal or greater value. We may change any part of the program, program rules, or participating partners, Rewards or special offers. A. The earnings rate for Points. B. The number of points required to redeem rewards. C. The types of transactions that qualify for points. D. The type or value of rewards. E. The expiration date of points. 9. Changes to the program and the program rules may occur from time to time. When any change is made, we will post revisions on our Discount Office source web site. In some cases, we may notify you of changes by e-mail. However, it is your responsibility to review the site or any correspondence to stay aware of any changes.